The National Science Foundation has provided funding to construct Evolution Park, an evolutionary robotics testbed. 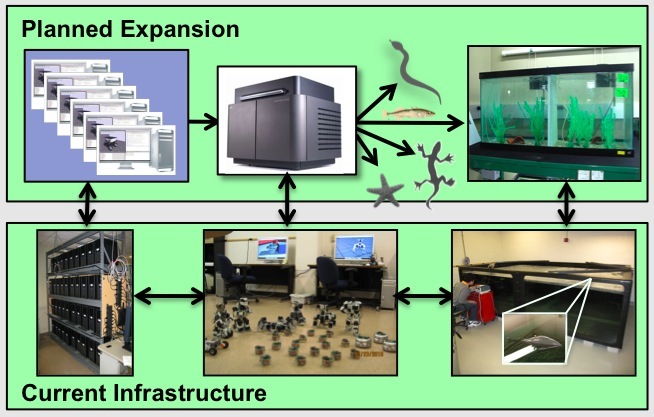 This facility, located at Michigan State University, will enable researchers to evolve organisms in a computer, realize them in physical bodies combining passive components with artificial muscles, and use them to study complex behaviors in living animals through direct interaction. The new research infrastructure expands an existing NSF-sponsored Digital Evolution Testbed.